Do you love travelling? If you love to travel your favourite destinations , these Top Travel Apps would be very useful for your iPhone or iPad. Here you can see the best travel apps for your device which come with many useful travelling related features. Some of these app let users plan their trips, book hotels and tickets and track real time flight information etc . Okay let’s see the list of best travel apps for iPhone & iPad. These apps are very useful and help you to get information about almost all popular tourist places. You can install these apps to get useful reviews about your favourite tourist places, find trusted hotels and other information. 1. Uber ( iPhone ) – Uber is one of the most important travel apps for your device. You must have this app on your device to find rental cabs , taxi and other luxurious car at low cost. Very useful cab booking app for smartphone users. The app helps you book taxi through credit card, PayPal and many other payment option. You can download this app free of cost from the Appstore. 2. 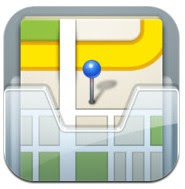 City Maps2Go Pro ( iPhone & iPad ) – City Maps2Go Pro is a great travel app that comes with detailed offline maps. With the help of these apps, you can easily get information about your favourite places. If you are planning to travel any unknown place, you must install this app on your device to get real information about that. The app includes lots of useful travel related features such as in-depth travel information, detailed offline maps with info, thousands of popular destinations of the world, search tool for restaurants, hotels and more. Recommended travel app for iPhone and iPad users. 3. 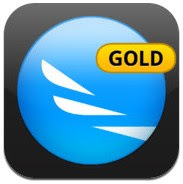 WorldMate Gold ( iPhone & iPad ) – WorldMate Gold is one of the best travel apps for iPhone & iPad that can help you to plan your trips, book flights , car and hotels and manage all types of travel related tasks. 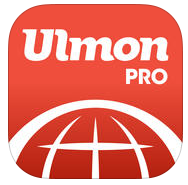 Very useful app that comes with lots of useful options and lets you manage all of your travelling related works. WorldMate Gold lets you book hotel and flights, get flight alerts and see real time flight status, see maps to get directions and access some useful travel tools such as tip calculator, currency converter, local search etc. The app also helps you to get complete weather information of next five days. A fully featured travel app that comes with almost all types of useful travelling related features. 4. 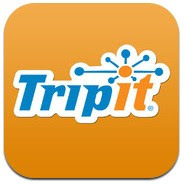 Tripit ( iPhone & iPad ) – If you are looking for free travel app for your iPhone or iPad, Tripit could be the perfect option for your device. Tripit is a great free app that comes with lots of useful options. This useful travel app lets you manage all of your travel plans in a single place with many useful features. Great app that automatically a useful itinerary by collecting all of your trip details so that you can manage everything easily from your iPhone or iPad. 5. 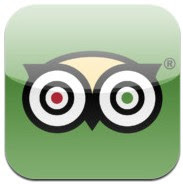 TripAdvisor ( iPhone & iPad ) – TripAdvisor is one of the best free travel apps for iPhone & iPad that let you plan trips easily from your device. TripAdvisor lets you book easily your hotels, flights and restaurants for your trip. Very useful app that allows users to find the lowest airfare, best hotels, restaurants, reviews, photos, videos and opinion of travelers. 6. 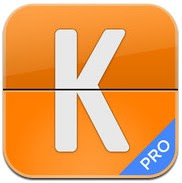 Kayak Pro ( iPhone and iPad )– Fully featured travel app for iPhone and iPad users that comes with powerful search engine to find cars, flights and hotels. Kayak pro lets you compare & book flight, hotels and car rentals. One of the best travel apps for iOS and it lets you track flight status and manage trip itinerary from your device. 7. 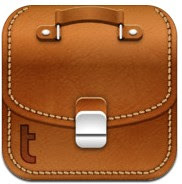 Trip Case ( iPhone ) – TripCase is a great free iPhone travel app that guides and alerts you in every important stage of your trip so that you can manage all of your important works at right time. Simple, easy to use and powerful app that helps you to save your time. This useful app also helps you to locate weather, get driving directions, see alternate flights, view maps and your past trips. 8. 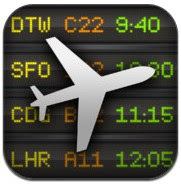 FlightBoard( iPhone & iPad ) – FlightBoard is a powerful app that can show you live flight departure and arrival status of any airport of the world. Beautifully designed travel app for iPhone and iPad that covers more than 3000 airports and 1400 airlines. 9. Offmaps 2 Offline Maps ( iPhone & iPad ) – Offmaps 2 is a great app that could be very useful in your trip because this app lets you access searchable maps of your favorite location in offline mode. Beautifully designed travel app for iPhone and iPad that also allows users to read Wikipedia articles with images in offline mode.